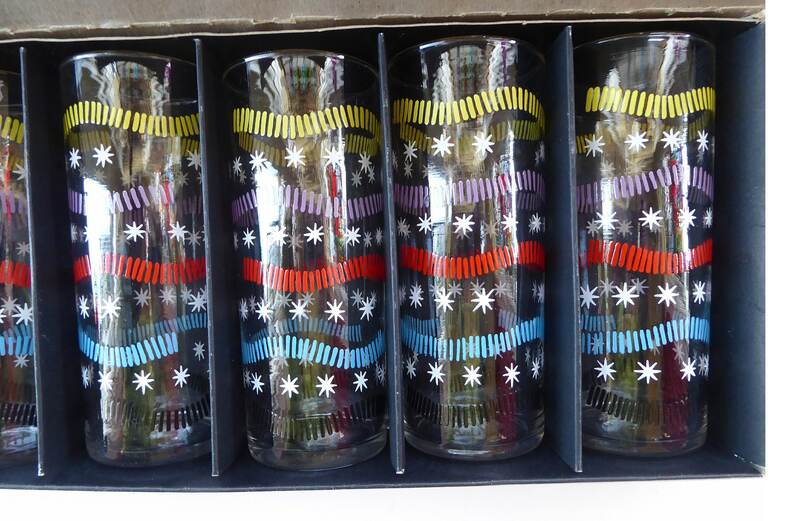 These Slim Jim glasses were probably designed by Alexander Hardie-Williamson (1907 - 1994) who initially studied textile design at the Royal College of Art, London, had turned to the design of glassware in the mid-1930s. Hardie-Williamson’s best-known design is his famous Babycham 'saucer' champagne glass. 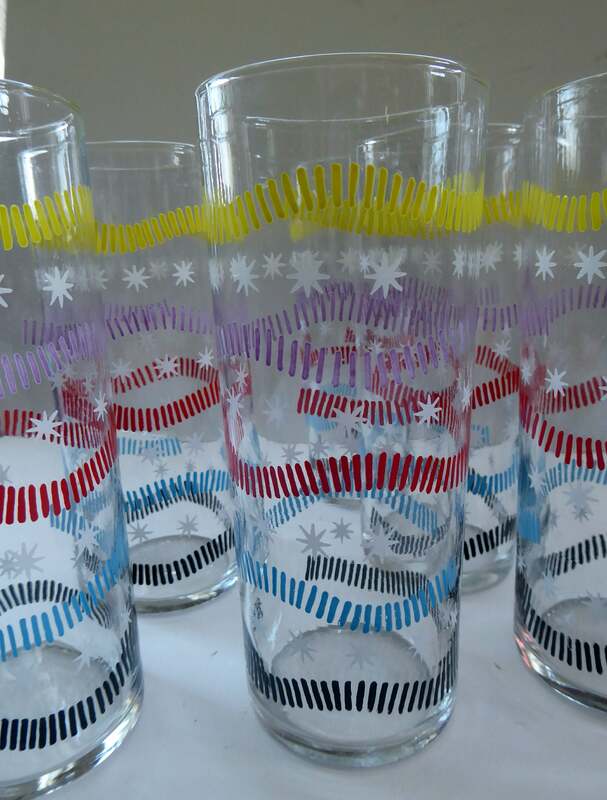 This is a complete set of six 1950s Slim Jim glasses - decorated with a more understated abstract design. 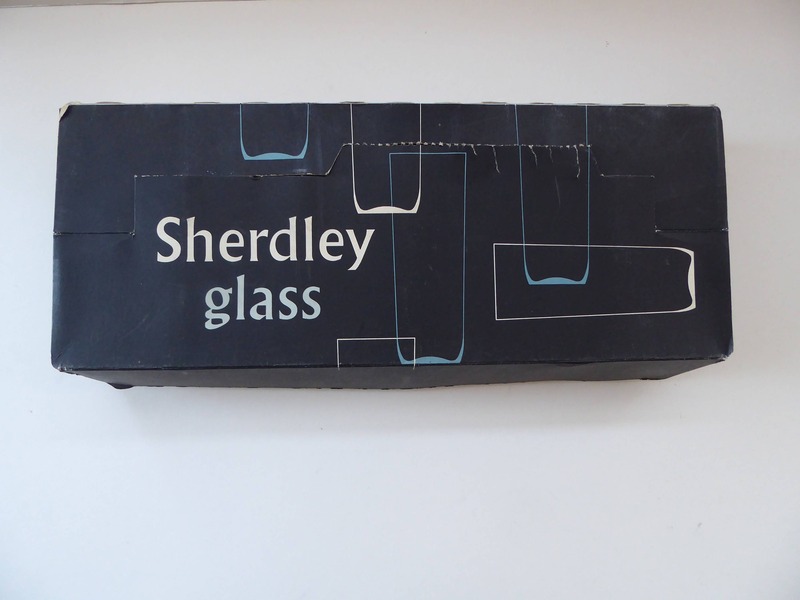 They were made for Sherdley Glass - and pre-dates his work at Ravenshead. 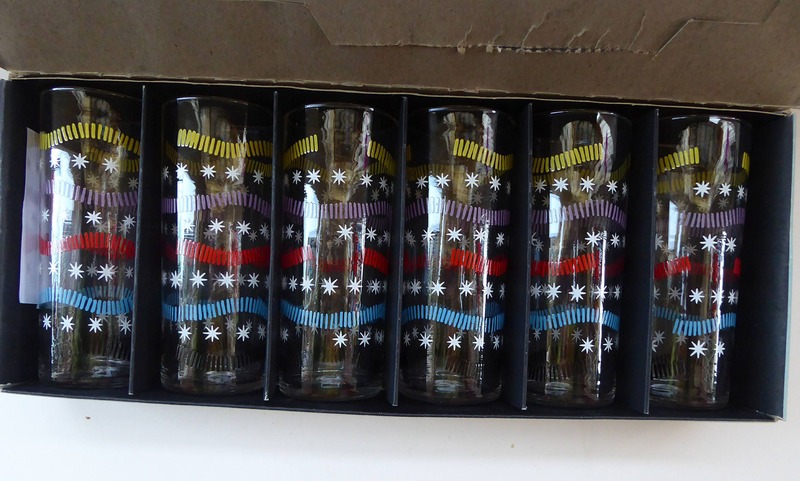 They are all in excellent condition - and come with their original box - it is very rare to find the box surviving and these glasses in themselves are very collectable. The box is in fairly good vintage condition. I will have to post as a larger size parcel with Royal Mail - which posts up posting costs a tad - but best to make sure they are safe and fully packed in transit to you.